Wow, this winter is turning out to be full of awesome food fun. After we posted the upcoming events article earlier this week, several more items came across our desk that we wanted to let you know about. First of all, we can’t believe we hadn’t heard about the Cookie Creations event happening on January 21 from 6:00 to 8:00 pm at the Hawthorne Hotel in Salem. A fundraiser for the Girl Scouts, this one sounds like a take on the Iron Chef TV show: a competition among local chefs to create the most fabulous dessert with the secret ingredient being, you guessed it, Girl Scout Cookies. For $30 (two for $50) you can taste the treats, mingle with local celebs, and vote on the crowd favorite. How can we refuse an event like this when we can’t even say no to a Thin Mint? On January 24, Matt O’Neill is at it again, helming another cooking demo and dinner at The Blue Ox. This one focuses on braising, with braised short ribs as the second course. Sounds perfect for a warming mid-winter menu. And if you can’t make it this time, the folks at the Ox tell us that for 2010 they plan to hold cooking demos the fourth Tuesday of every month, so mark your calendar now. Coming up on January 30, Temple Emanu-El in Marblehead is again hosting their popular Taste of the North Shore. This year’s all-you-can-eat buffet includes fabulous foods from A&J King Artisan Bakers, The Blue Ox, Grapevine Restaurant, Passage to India, Pellino’s, Sixty2onWharf, and Sticky Rice to name a few. The ubiquitous Billy Costa will be on hand to emcee the event, which also includes live music, dancing, an auction, and a raffle in which the first prize is great seats to the 2010 Opening Day Red Sox game against the Yankees. The event starts at 6:30p.m., and tickets are $50 per person. For more information, call (781) 631-9300 or e-mail taste@emanu-el.org. Lastly, we want to give a big shout out to the Lynn Restaurant Association for standing up to organize a relief effort for the survivors of the Haiti earthquake. Please check out the list of participating restaurants at Lynnhappens.com to see what and where they are collecting. Snow storms and seventy-degree temps in the same week? Welcome to October in New England. Even though we’ve had some beautiful days lately, the weather is getting colder, and all those wonderful outdoor fall food events are coming to an end. The good news is that as we head indoors, so do some upcoming chances to eat, drink, and be merry. 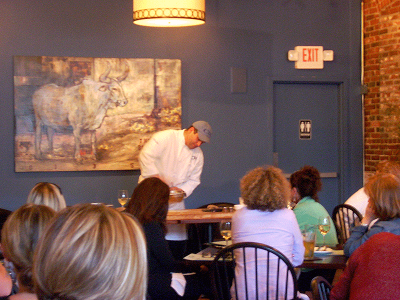 Starting things off, Matt O’Neil at Blue Ox is offering another cooking demo and dinner on Tuesday, October 27. Just in time to wow your Thanksgiving guests, the class is on making spicy pumpkin soup. A three-course tasting menu with the soup as the first course will follow the demo. If you haven’t been to one of Matt’s classes, they are worth checking out. You may recall we had a ball learning how to make gnocchi. The dinner is $29 per person, and reservations are required. Past demonstrations have sold out quickly, so if you’re interested, call soon. On November 5, Italian vintner Matteo Ascheri will take you on a tour of the Alps with a Piedmontese wine dinner hosted by Sixty2 on Wharf. 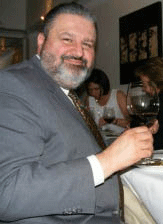 Chef Tony Bettencourt will inspire your senses with his food pairings designed to complement each pour. If you’re like us, one look at this menu and you’ll be drooling. Tickets are $85 per person. To reserve your seat, contact Jonathan at (978) 744-0062 or e-mail him at jbrackman@62onwharf.com. A few events we previously mentioned but are included here for the sake of completeness: Cooking with Sweet Sloops at Harbor Sweets on November 7 and the November 12 Grand Wine Tasting hosted by Salem Wine Imports. If you’re a food history geek, The Essex Shipbuilding Museum has just the thing for you. On November 13, go back in time to experience Tavern Fare in 18th and 19th Century New England with Bean Supper, featuring noted food historian Joseph Carlin. The dinner will include baked beans, fish cakes, cole slaw, and desserts by Laurie Lufkin, and the discussion will center on what and how early Americans in the area ate. Admission is $12 in advance or $15 at the door. If beer is your beverage of choice, you’ll be happy to hear that it, too, receives the gourmet dinner treatment in November. Check out this terrific Burgers and Brews dinner coming up on the 17th at Finz. Each course features a beer from a different country and is accompanied by an inventive “burger and fries” pairing, ranging from a hearty Black Angus American to an inventive French burger made with beef and duck confit, brie, melted mushrooms and leeks, and truffle fois gras aioli. Tickets are $40 per person for this little trip around the world. What’s Cooking at Harbor Sweets? You Are! That’s right, on November 7th from 12 pm-2 pm, Harbor Sweets will be hosting their first-ever cooking event at their factory in Salem, and you’re invited. The focus will be on recipes that use crushed Sweet Sloops, their famed chocolate-covered butter crunch candy, including one for Pad Thai! 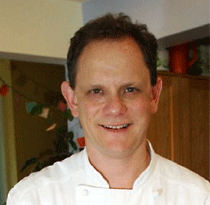 Chef Bill Collins, a graduate of the Cambridge School of Culinary Arts, who has cooked up goodies at places ranging from the old Ritz Carlton to Harbor Sweets, will lead the class. You can read more about him at chefbill.com, where he also blogs and shares recipes. The event is free and is appropriate for age 12 and up, but there is limited seating available. Reservations are required, so if you’re interested, give Harbor Sweets a call or stop by to reserve a seat. Potato gnocchi, pea puree, ham, mint, mascarpone. Sound like spring on a plate? It was, and it tasted even better than it sounds. This was the main event at last night’s cooking demonstration at The Blue Ox in Lynn. Chef/owner Matt O’Neil charmed an audience of about 40 with both his cooking advice and his food at this special event ($29). We had expected more of a stand-around-watching-the-chef type of demonstration and were pleasantly surprised when we were led to a table and handed a wine list along with the night’s menu and several recipes to take home. We tried the house white ($5.50), a dry blended wine that’s very good for the price, while snacking on an antipasto of sopressata, prosciutto de parma, fresh mozzarella, shaved parmesan, roasted peppers and asparagus, grilled artichokes, and aged balsamic. 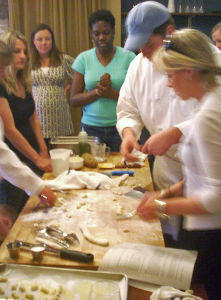 Then Chef O’Neil began demonstrating the gnocchi recipe on a large table at the front of the room. While he worked, he gave us tips on many of the ingredients he uses in the restaurant along with things to avoid when making gnocchi. Use kosher salt or sea salt that has not been iodized. The iodizing process changes the salt, preventing it from drawing out moisture from food you are trying to sear. Splurge on a bottle of aged balsamic. You only need a few drops in a salad or antipasto, so a small bottle will last quite a while. Likewise, spend the money to get a good bottle of fruity olive oil, not for cooking but for salads and adding to pasta or gnocchi. O’Neil uses one from Greece. With the right ingredients, it’s easy to “doctor up” something like a jar of roasted peppers. Just sprinkle with lemon juice, good olive oil, salt, and pepper. For gnocchi, use Russet or Idaho potatoes, bake them in the oven, and rice them while they are hot. For extra flavor, O’Neil drizzles a tablespoon of good olive oil into the gnocchi dough when he adds the eggs. He also adds a small amount of freshly grated nutmeg. He cautions never to overwork the dough. It should still be bit rough when you begin rolling it out, or the final product will be chewy rather than fluffy. After rolling the gnocchi (O’Neil uses a fork for this), place them on a sheet pan sprinkled with semolina flour. All-purpose flour would get absorbed into the dough and make it gummy. To freeze the gnocchi, put them in the freezer still on the tray. Once frozen, you can pack them in a plastic bag or container. At the end of the demonstration, we were invited to try rolling out dough and forming the gnocchi up at the front table, and then we were served a steaming bowl with the aforementioned sauce and ham. The gnocchi were tender, the sauce was to-die-for delicious, and the mint puree drizzled on top added incredible freshness. The main course was followed by a cannoli with a crisp shell and an extra-creamy filling. O’Neil, a Swampscott native who now lives in Nahant, is clearly one of the area’s top culinary talents. We look forward to returning to sample the dinner menu, which the chef describes as American style with a twist. The main dining room features a handsome bar area and the gorgeous art of Martha’s Vineyard-based painter Traeger DiPietro. There is a free parking lot a few yards away from the front door. After seeing Chef O’Neil in action, we’re also hoping for more cooking demonstrations. Eating, drinking and learning—the perfect way to spend an evening.